Basic custom imprint setup & PDF proof included! 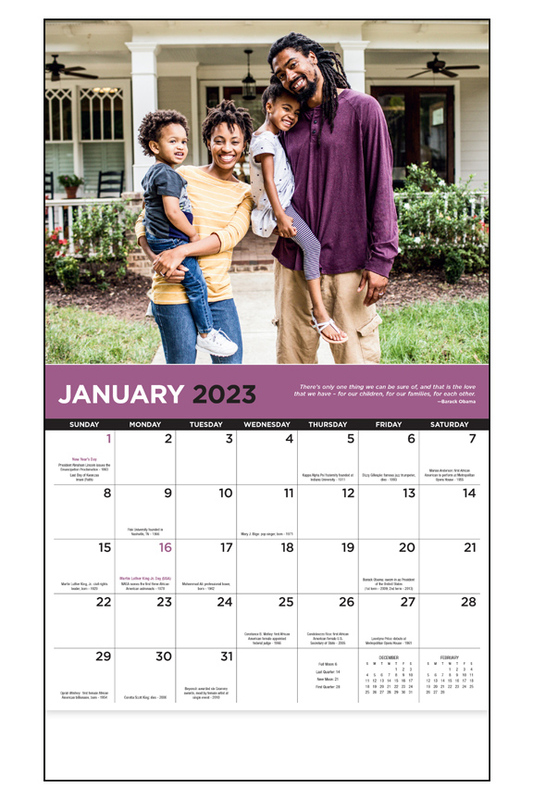 13-month wall calendar celebrates the accomplishments of African Americans through colorful photos of contemporary life and culture. 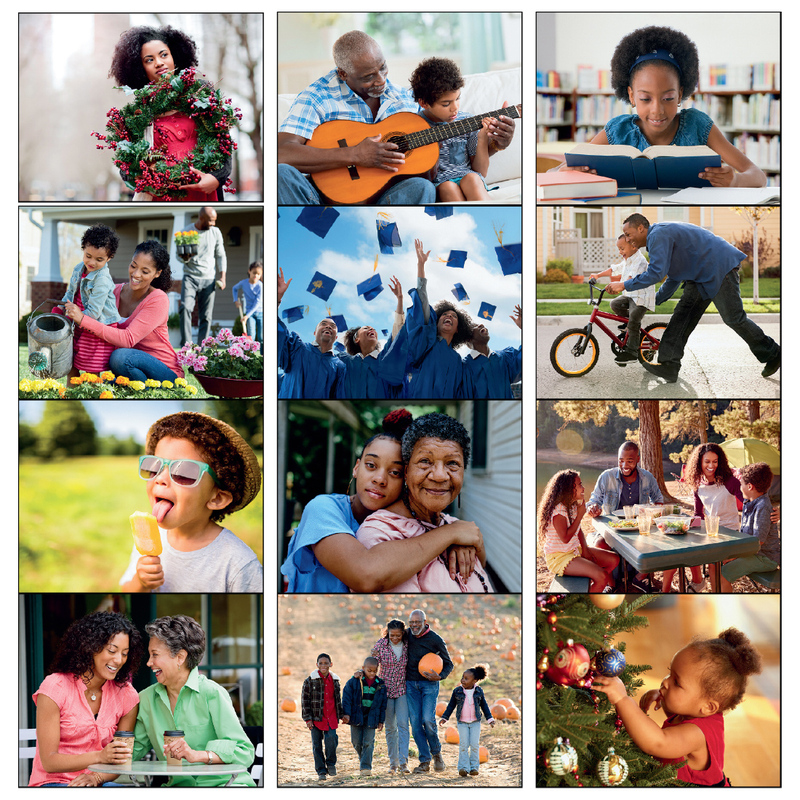 Each day highlights an event or person important in African Americans’ proud history and heritage. 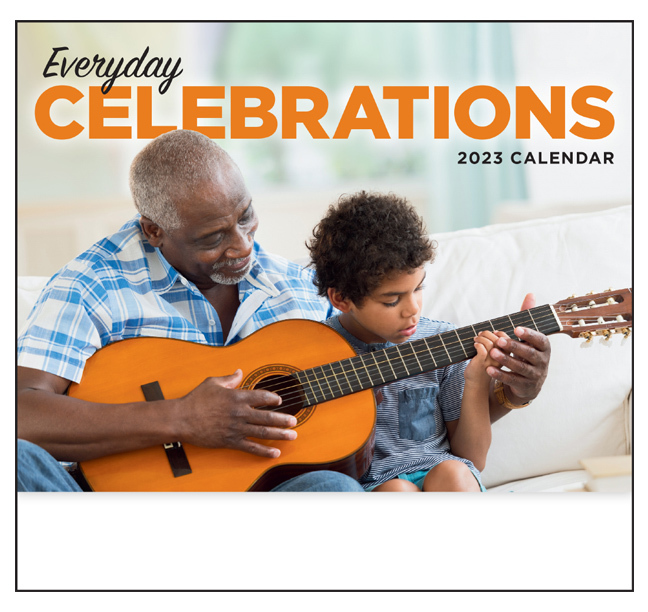 Includes an inspirational quote each month. 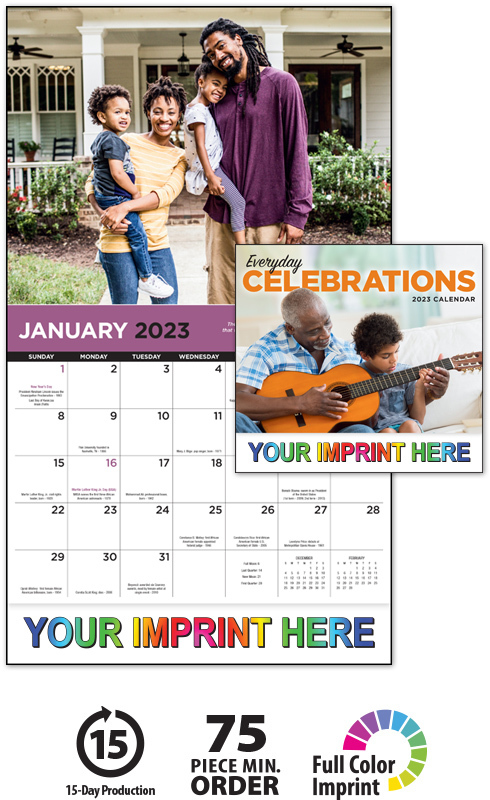 This high-quality Celebration of Culture Calendar will proudly display your message for the entire year!